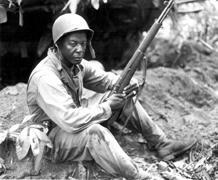 Montford Point Memories: Edwin Fizer Jr.
Our "Montford Point Memories" series, honoring the legacy of the first African-Americans in the Marine Corps, continues with recollections from 93-year-old Edwin Fizer Jr. This week on the Down East Journal, the City of Jacksonville with the help of coastal scientists are maintaining the health of Wilson Bay using green infrastructure. Plus, North Carolina voters are once again in limbo after a federal court struck down the 2013 Voter ID law. We talk to local officials about their precincts, how they've dealt with three tumultuous and erratic years and about what the future may hold. And, snakes are out and about this summer. Tips on how to stay safe in the woods, on the trail or in your own backyard. This week on the Down East Journal, we take part in drone testing with the Duke Marine Lab in Beaufort. From tracking sea turtles off our coast to collecting information about marine debris, drones are proving beneficial to coastal scientists. And, traffic congestion around Camp Lejeune has police cracking down on motorist blocking a major intersection. 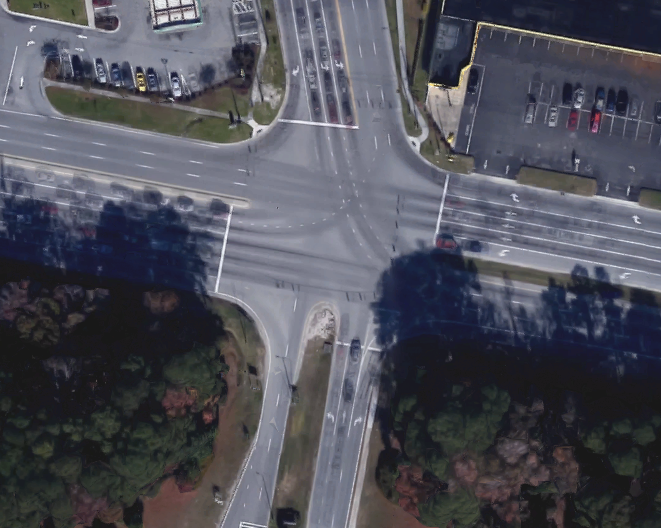 Jacksonville Police are aggressively issuing citations to drivers who block major intersections during busy commuter periods along Lejeune Boulevard. Sarah Finch has more. Motorists in Jacksonville are all too familiar with traffic congestion, especially around Camp Lejeune in the morning and afternoon. And the problem didn’t get any better when the Marine Corp base closed one of their gates on May 27th. Camp Lejeune Public Affairs Director Nat Fahy says they shut down the gate for security reasons, and to free up military personnel to manage other base entrances. We explore how law enforcement officers in eastern North Carolina are using body cameras, from urban areas to rural towns. The Jacksonville/Onslow Council for the Arts is presenting their first ever arts and crafts festival. 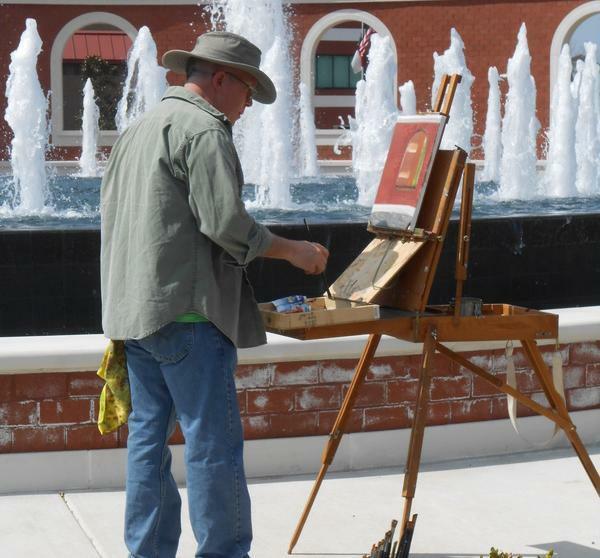 The event, Uptown Art Block, will feature demonstrations, interactive arts, and entertainment. Today, Mac McKee speaks with Executive Director Connie Wenner about the festival happening Saturday, April 18th. This week on the Down East Journal, we detail the 550 mile tri-state Atlantic Coast Pipeline. Supporters say the natural gas project will bring jobs to the “Tar Heel State.” Opponents worry about decreased property values and the environment. We talk about the pipeline’s proposed path and hear how it may impact eastern North Carolina. And, the first ever Art Block event in Jacksonville. The Down East Journal, Fridays at noon on all of the PRE stations. And Saturdays at noon on all of the News and Ideas stations. This week on the Down East Journal, we visit a tarheel based theme park to witness new construction of what will be one of the tallest and fastest rollercoasters in the world. We also spotlight the New River Player's local production of Dracula, and details on the current exhibit of small scale Dutch and Flemish paintings at the North Carolina Museum of Art. A site in Jacksonville that remembers the lives lost during the 1983 bombing of the barracks in Beirut, Lebanon is in the process of renovation. Kelly Batchelor has more on the Beirut Memorial tree replacement. In Jacksonville two former elementary school teachers have ambitious plans to open a new children museum. Co-Chair of the Zing Zumm Museum board Liz Owens discusses with Public Radio East’s Mikel Peterson how the museum went from being just an idea to reality. 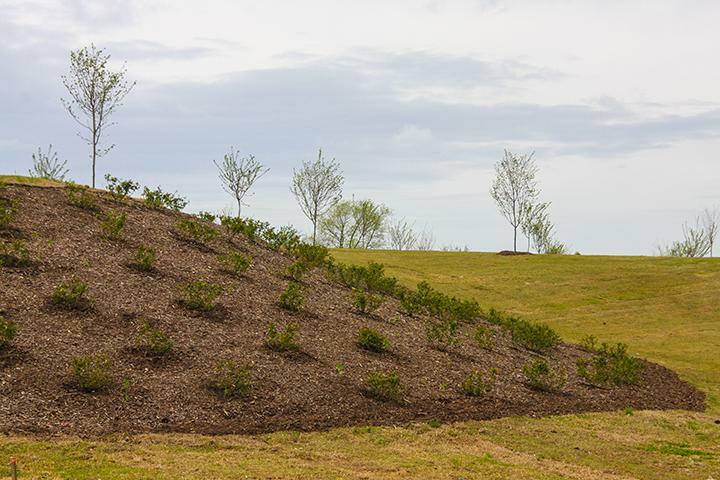 The North Carolina Department of Transportation and the City of Jacksonville are working together to improve the Beirut Memorial Grove. Jared Brumbaugh has more. Large bodies of water like the Pamlico Sound absorb carbon dioxide like a sponge. But when a tropical storm or hurricane hits, it agitates the water releasing extensive amounts of CO2 into the air. This week on the Down East Journal, we speak to a coastal scientist about the harmful effects of “burping estuaries.” And, we’ll talk about plans for a new children’s museum in Jacksonville. The Down East Journal airs Friday at noon on all of the PRE stations. And Saturday at noon on News and Ideas. We remember the brave Montford Point Marines who faced segregation in service for an opportunity to fight for our country during World War II. Today, we honor the Montford Point Marines who were the first African Americans to serve in the United States Marine Corp. They overcame discrimination and segregation in service for an opportunity to fight for our country during World War II. 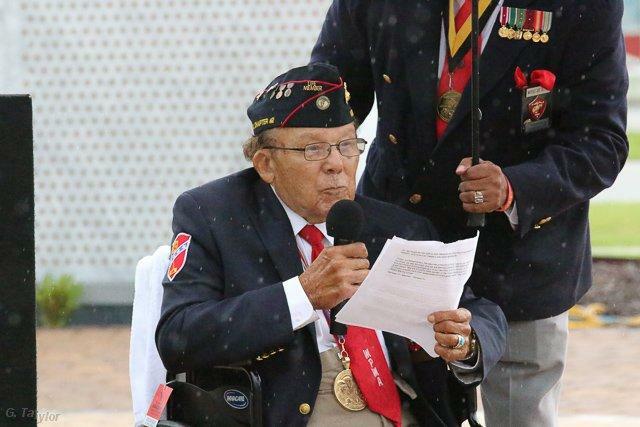 Wilmington resident Norman Preston is a hero, and World War II veteran. At 91 years old, he is among our country’s first black Marines. This week on the Down East Journal, we speak with the acting State Health Director Dr. Robin Cummings about the new, statewide telepsychiatry program starting in January, and how East Carolina University will be involved with the program. And thirty years after the bombing of a military barracks in Beirut, we speak with a veteran organizing a ceremony in Jacksonville next week to remember the 240 Americans killed during the attack. 5,000 gallons of wastewater has spilled into a creek in Jacksonville, following more than an inch and a half of rain on Tuesday. The City’s Maintenance and Utilities Superintendent Pete Deaver was at the site Thursday afternoon testing the water.